Poachers, goal-getters, hitmen, foxes in boxes or marksmen – the alias may vary from team to team, though the job invariably remains the same. Get them the ball and they will win the game. Every remaining team competing in this season’s Europa League have players capable of turning contests in their favour at any moment. Those same match-defining players routinely rank near the top of the list in the bookmakers’ always popular Anytime Goalscorer markets. To help you delve into those markets as a more informed bettor, we’ve compiled a list of the players we think are in with a cracking chance of getting on the scoresheet in the UEL Quarter Final 1st legs this week. Keep up to date with the latest Europa League match previews, predictions, betting tips and special offers here. Arsenal take on Serie A giants Napoli in the first leg of what is arguable the pick of the Europa League Quarter Final double-headers on Thursday. Having scored just 4 times in his last 11 games for the Gunners, rapid attacker and club top scorer Pierre-Emerick has gone off the boil a little of late, though the 29-year old’s last 2 goals for Arsenal came in their triumph over Rennes in the last round of the Europa League. In total, Aubameyang has hit the net 4 times in just 5 UEL starts this term, and it’s interesting to note that the former Borussia Dortmund star has scored 71% of his total goals this season at the Emirates. 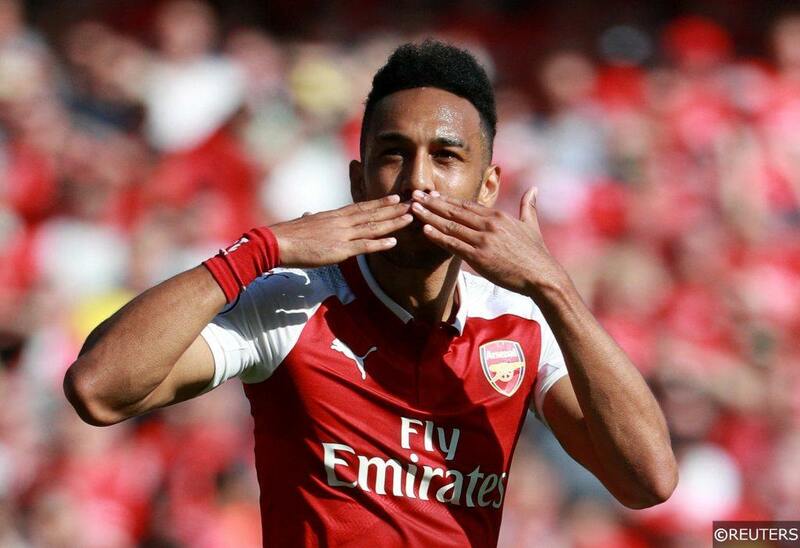 Arsenal will be looking to their leading marksman for inspiration against an excellent Napoli team on Thursday, and we think Aubameyang is priced brilliantly at 10/11 with bet365 to score anytime. Read our detailed Arsenal vs Napoli match preview for more predictions and betting tips here. The involvement of Serbian striker Luka Jovic adds a compelling layer to what already looks a fascinating clash between Benfica and Eintracht Frankfurt in Portugal on Thursday. Jovic, who is enjoying a breakout season with Frankfurt in 2018/19, is on loan at the Bundesliga side from his parent club Benfica, though the talented 21-year old is free to line up against them this week. Jovic has scored 17 times in the Bundesliga so far this season and his productivity on the continent has been just as high. The explosive centre-forward has rattled the net 7 times in 7 Europa League starts for Die Adler. The clinical finisher looks set for a huge money-spinning transfer this summer, and he will be keen to show Benfica supporters what they are missing at the Estadio da Luz this week. 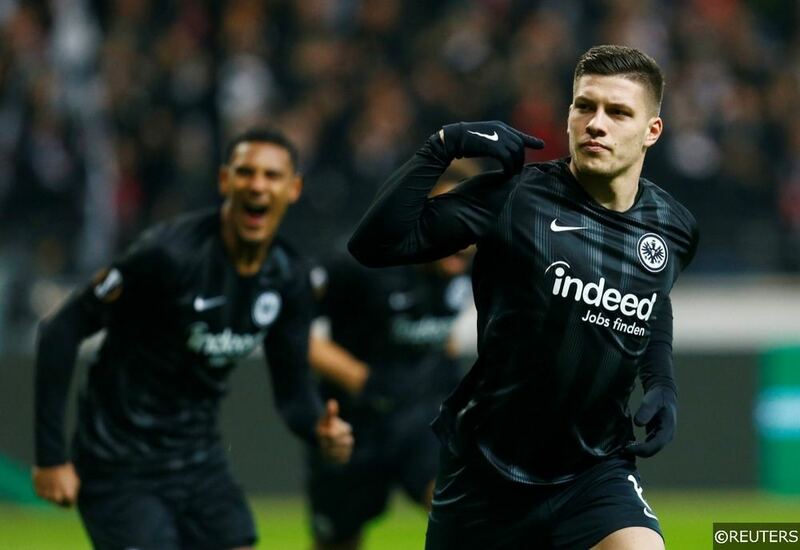 Armed with multiple incentives to score, Jovic looks great value at 7/4 with bet365 to score anytime on Thursday. Click here to read our Benfica vs Eintracht Frankfurt match preview with betting tips and predictions. Having played against Everton in the Premier League just 3 days before and with a potentially crucial meeting with Liverpool just 3 days after, Chelsea’s Thursday fixture with Slavia Prague has come at an inopportune time for Maurizio Sarri. The Italian coach is almost certain to ring the changes for the Blues trip to the Czech Republic, and Olivier Giroud will likely be among the players drafted in for the team’s Quarter Final first leg. The French targetman has been knocking in goals a plenty in the Europa League this season, and the 9 goals he has registered to date make him the competition’s leading scorer. 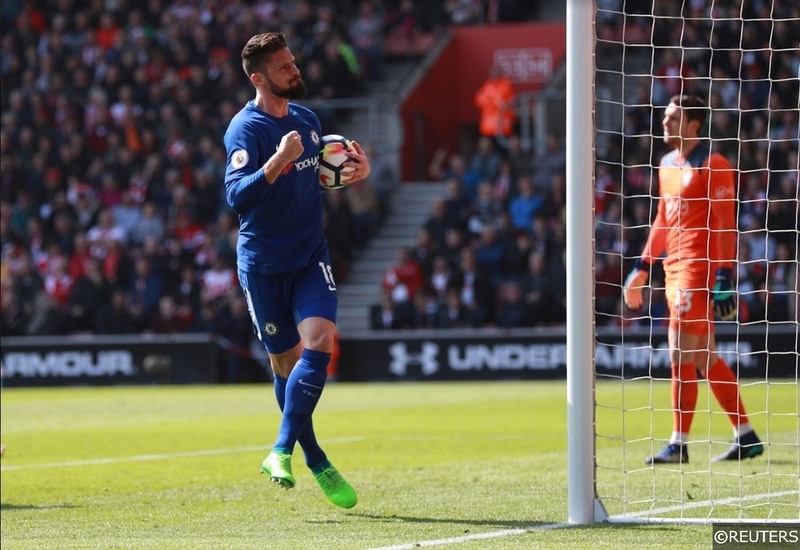 Remarkably, Giroud scored 6 of his 9 UEL goals in away matches for Chelsea, and the 32-year old is available at terrific 8/5 odds with bet365 to enhance his excellent record in Prague on Thursday. Read our detailed Slavia Prague vs Chelsea match preview for more predictions and 100% free betting tips here. La Liga relegation candidates Villarreal take on a familiar foe in Valencia on Thursday in an intriguing looking all-Spanish Europa League Quarter Final first leg skirmish at the Estadio de la Cerámica. Like the majority of his Villarreal teammates, attacker Gerard Moreno has had a disappointing domestic campaign, scoring just 5 times in 28 La Liga appearances in total since last August. Again, like his El Submarino Amarillo teammates, Moreno has performed much better in this season’s Europa League, hitting 4 goals in 5 starts away from the angst of the team’s domestic struggles. Moreno scored in both legs of Villarreal’s double-header against Zenit in the last round of the competition, and we’re backing the 27-year old to make a similar impact on Thursday against Valencia. You can back Moreno to score anytime at 15/8 with bet365. Check out our comprehensive Villarreal vs Valencia match preview, predictions and betting tips here. A 4-fold anytime goalscorer accumulator featuring our selection of players above is available at massive 38/1 odds with bet365!! Click the banner below to bet now!! Categories: Betting Strategy, Blog, and Football. Tags: anytime goalscorer, anytime goalscorer tips, Europa League betting tips, Europa League special, and UEL tips. League: UEFA Europa League. Sports: Football.